Versature has been a disrupting force in the Canadian telecom industry since their inception in 2003. Versature offers an entire hosted PBX solution, capable of supporting the smallest SMB to the largest Enterprise, as well as IP phones, conference phones, and even headsets. For multiple years, Versature has been awarded the Canadian Telecommunications Employer of Choice in 2017, 2016 and 2015, as well as 1 of Ottawa’s Fastest Growing Companies in 2017 and 2013, as well as Best Ottawa Business in 2015. Versature’s service is backed by an in-house, bilingual, Canadian based support team. With specialties lying heavily in Hosted PBX and Cloud Business Communications, Versature is capable of outfitting any business, from small to large, with a complete Business VoIP solution. 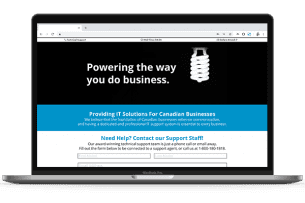 Versature is a strong choice for any Canadian based business looking to upgrade to cloud delivered business communications. With in-house, Canadian based, bilingual support, Versature makes it incredibly easy to get in touch if anything goes wrong. In fact, Versature enables users to call support by simply dialing “611” on their Versature powered phone. With a strong focus on simplicity, Versature makes it as easy as possible to outfit your entire business. Beyond just a VoIP solution, Versature also provides businesses with IP desk phones, conference phones, and headsets, to outfit your office with everything you need to make and receive calls right away. Businesses can also add custom logos on their IP phones for that extra personalized touch, although limited to the Enterprise plan. Most recently, Versature has released a native iOS app, as well as their existing Android app. Beyond just VoIP solutions, Versature also provides everything your business needs to customize and tailor the platform to fit your exact business needs. 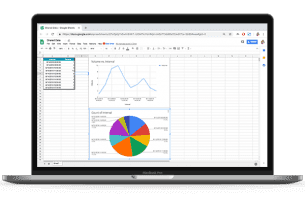 For example, Versature provides all of their end-users with an open API to build their own integrations, along with existing integrations including Salesforce, Klipfolio, Slack and a clikc-tocall Google Chrome web browser plugin. 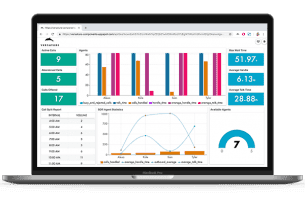 Integrations like these enable your business to connect multiple platforms together, and leverage call data as well as other metrics to completely optimize your business. 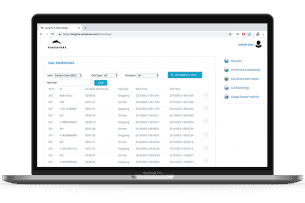 With roots dating all the way back to on-premise VoIP solutions, Versature has a proven track record of innovation, moving from on-premise to hosted IP PBX solutions, and introducing powerful integrations that leverage the tools businesses are already using. They also have a proven track record with multiple awards won throughout the years, most notably their three-time winnings of Canadian Telecommunications Employer of Choice, and in 2017 the provider has returned to Ottawa’s Fastest Growing Company list for the third year. What Do You Think of Versature?